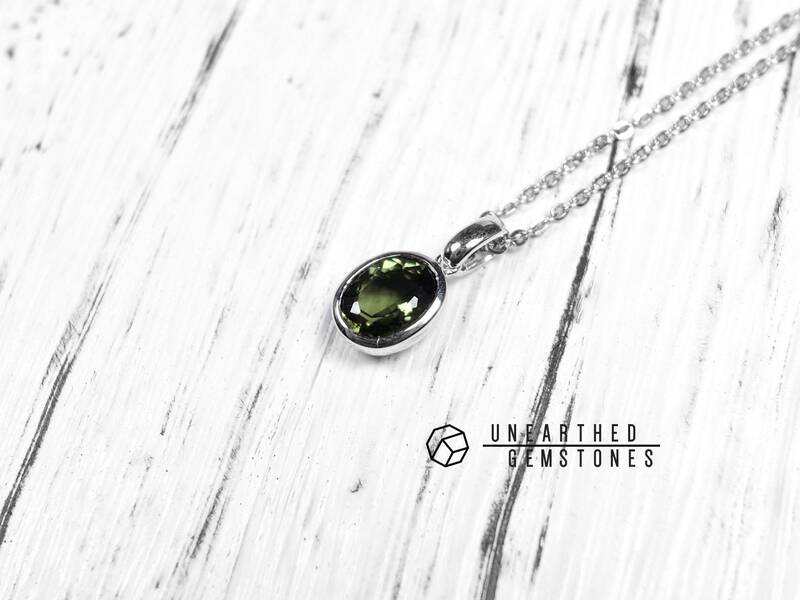 Moldavite is formed during an impact with terrestrial debris. 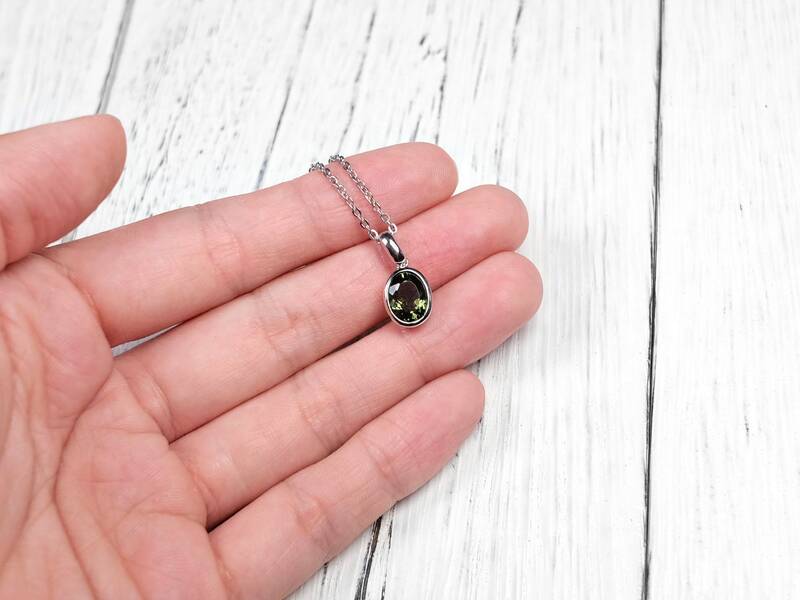 This green moldavite is a kind of tektite that is only formed in Czech Republic. 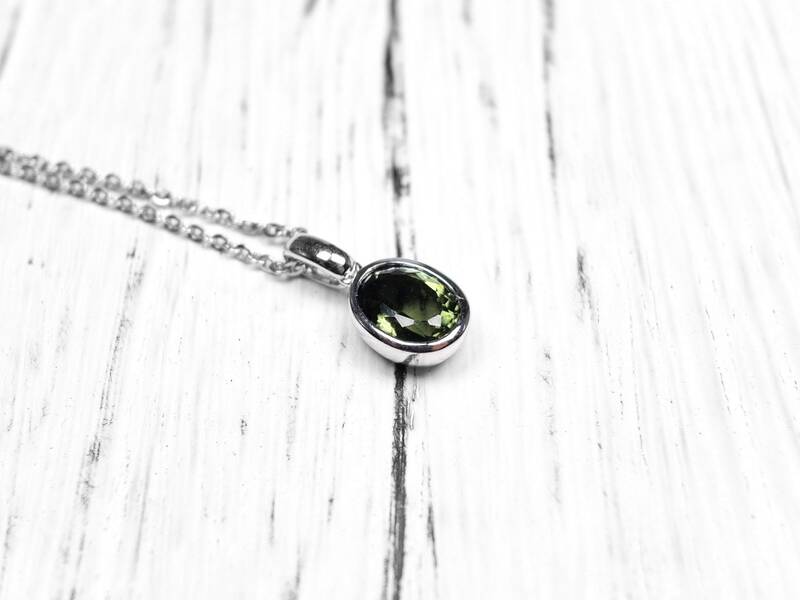 Less than 300 tons of moldavite is known to exist on Earth. 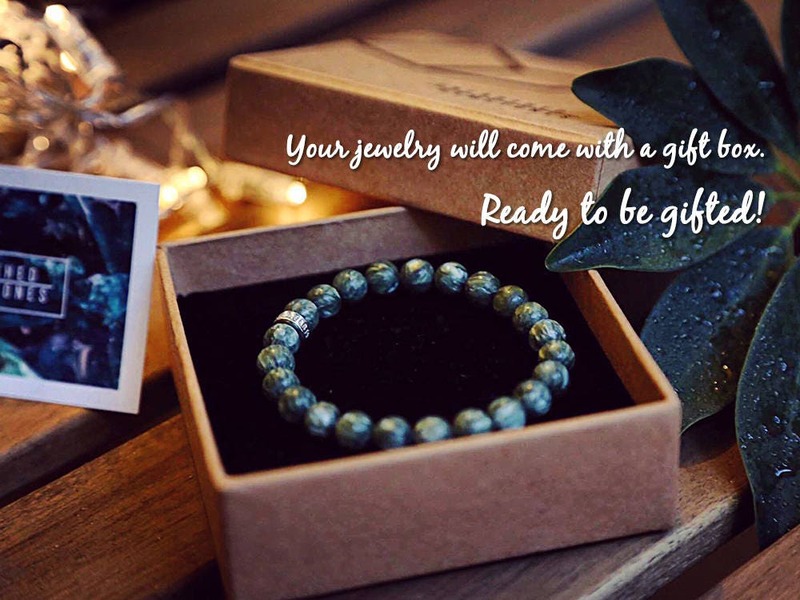 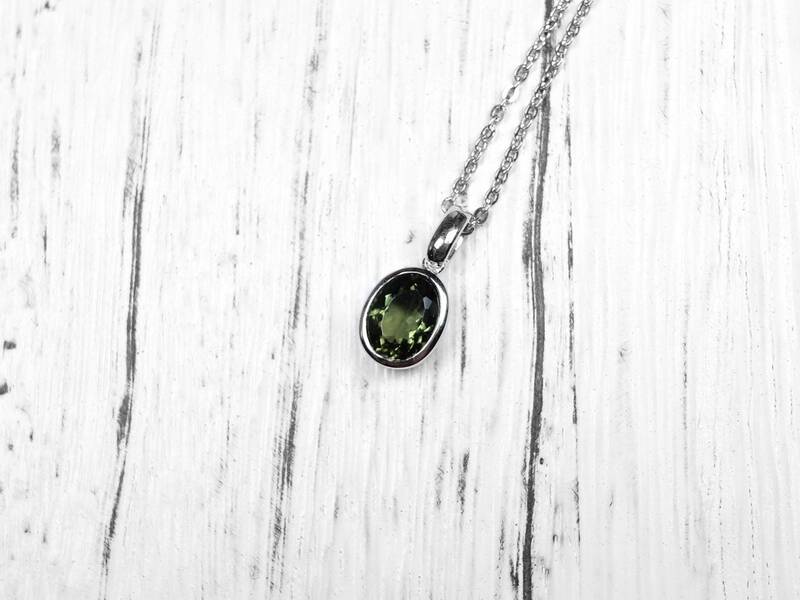 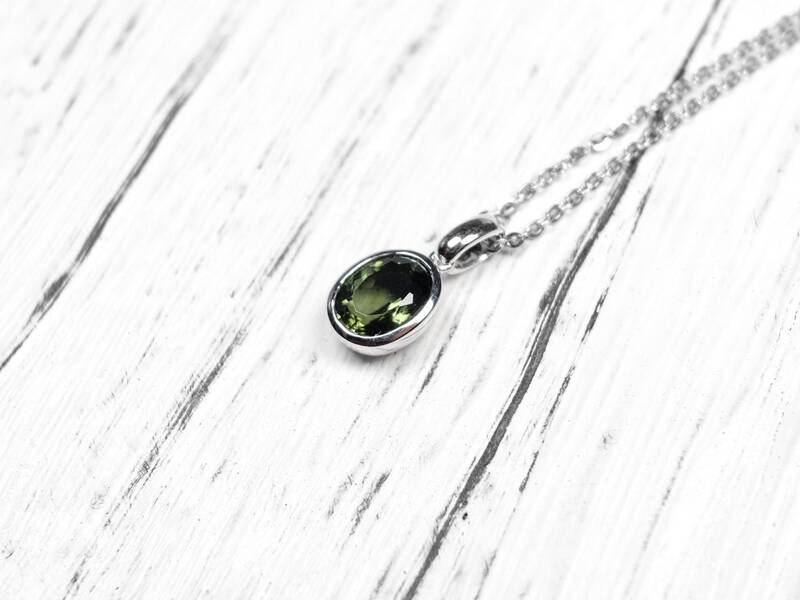 Although the raw stone has a rough surface, after cutting and polishing, moldavite becomes an attractive crystal when an attractive dark olive green color. 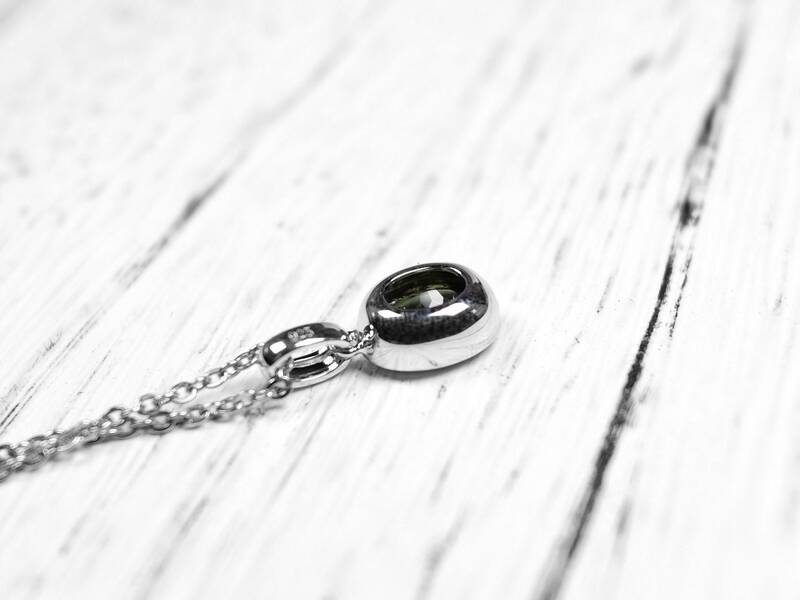 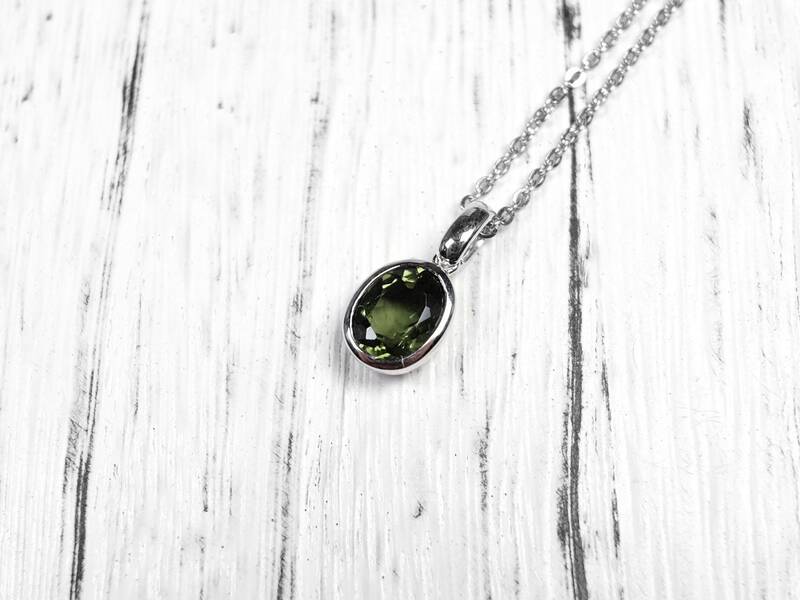 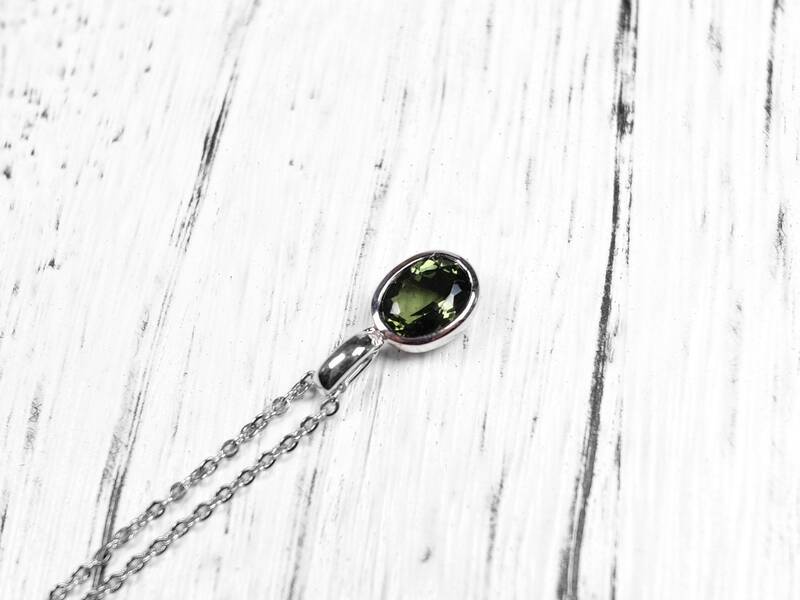 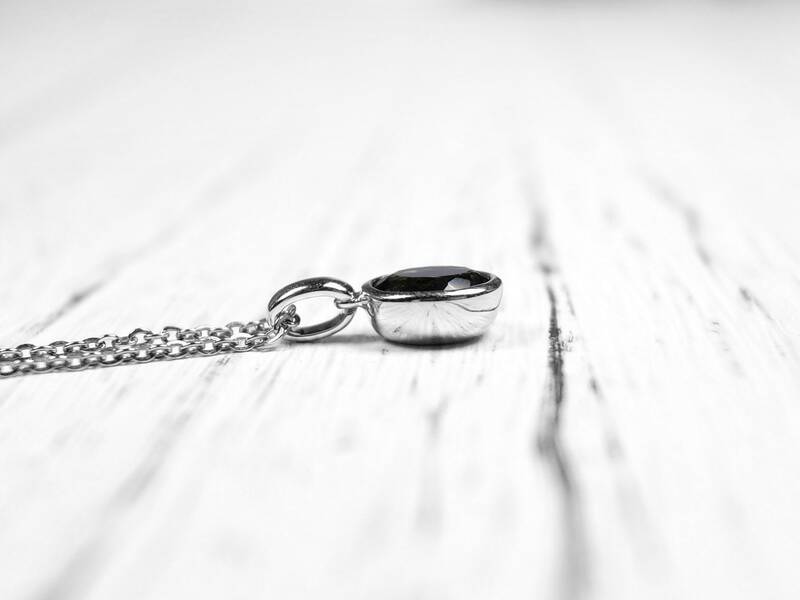 This moldavite is faceted into an oval shape and set into a protective 925 sterling silver setting.